Reston Home Tour Chairperson Marnie Schaar grew up in Reston and has been selling real estate with Long & Foster, Inc. for 16 years. This is her second year in charge of the Reston Home Tour. Her predecessor, Bonnie Haukness, has taught her the ropes and is still very active in the tour. 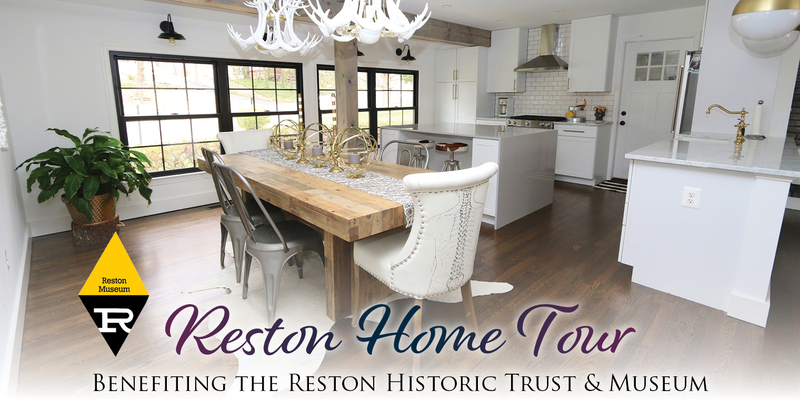 The 17th Annual Reston Home Tour focuses on six homes that have undergone major redesign in the form of renovations, additions, complete remodels, extensive landscaping, hardscaping and interior decor. These homes, each offering a unique Reston flair, are sure to get your design juices flowing! 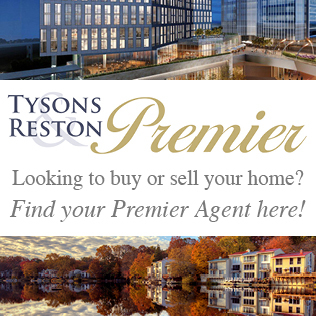 You will travel in architectural time from a South Reston 1968 Dutch Colonial to Reston’s newest luxury apartments, The Signature, at Reston Town Center where a “taste of autumn”, catered by Balducci’s, will be offered. 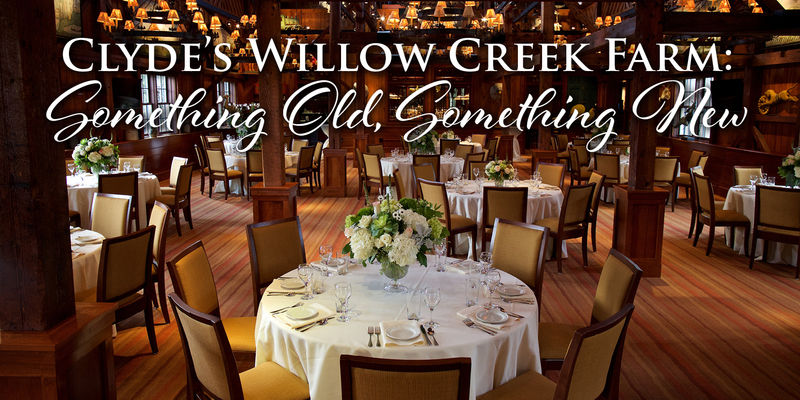 Tickets to this one-day, self-guided event sell out quickly. To avoid disappointment, make your plans now. 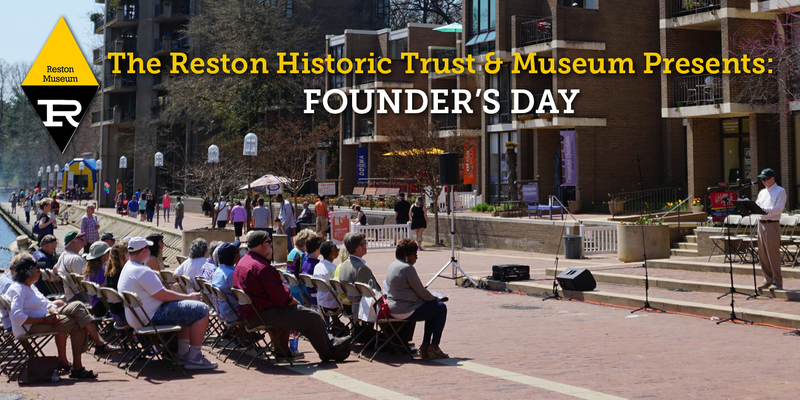 All proceeds benefit the Reston Historic Trust and Reston Museum. A childhood visit to a nascent New Town left a lasting impression on Lee Hobrla. Years later, when she and Jim needed to relocate to the metro area from Michigan, Lee knew where to look. They toured 30 Reston properties in a single weekend, and Basset Lane came out on top! Twenty five years later they still call Basset Lane home, although it has gone through several transformations to keep up with their changing lifestyle. Highlights including a backyard oasis, gorgeous kitchen, and a newly renovated master bedroom suite will surely delight tour goers. Ken and Mari were drawn to the Wharf’s unique architectural personality. 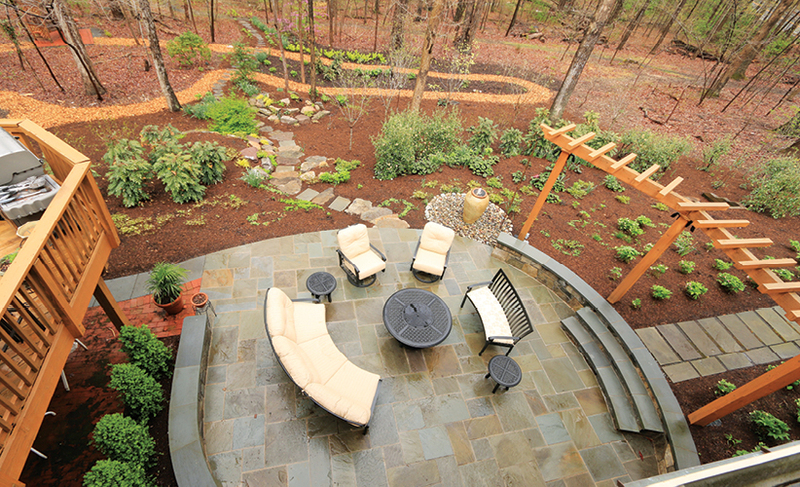 They appreciated the contrast between the public facing front with its understated, 70s-era, Reston aesthetic and the semi-private, pond-facing back featuring private decks overlooking fish ponds, creeks, a waterfall, and fountains. Their contemporary eclectic home was nearly move-in ready when they purchased. Major renovations, executed by the previous owner, transformed the interior allowing open rooms to flow from space to space and level to level. The couple installed the latest Smart Home technology to optimize energy use and provide security. The entire platform is controllable from inside and outside the home. Intelligent and unique! 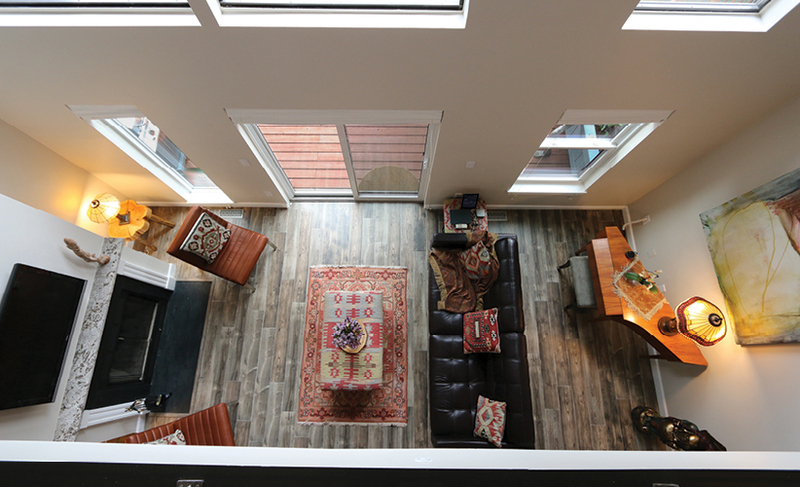 As veteran renovators—the 2014 Reston Home Tour showcased their transformed Moorings Drive Condo—Emily and Kevin turned their 50-year-old, virtually untouched rambler, into a modern dream home! Reconfiguring the layout to an open floor plan while pairing bargain finds with high-end pieces allowed the couple to create an eclectic—very cool—home, they half-jokingly describe as “postmodern, mountain/cabin/farmhouse chic.” The outside now has a craftsman look people desire, and inside Emily’s love of mixing materials and juxtaposing textures is evident throughout the house. FUN and current is what this house is, and definitely original! After living in Great Falls for 20 years, Larry and Mary Wright down-sized from their 12,000 sq. ft. single family home to their 4,000-sq.-ft. Paramount condo on the 13th floor. 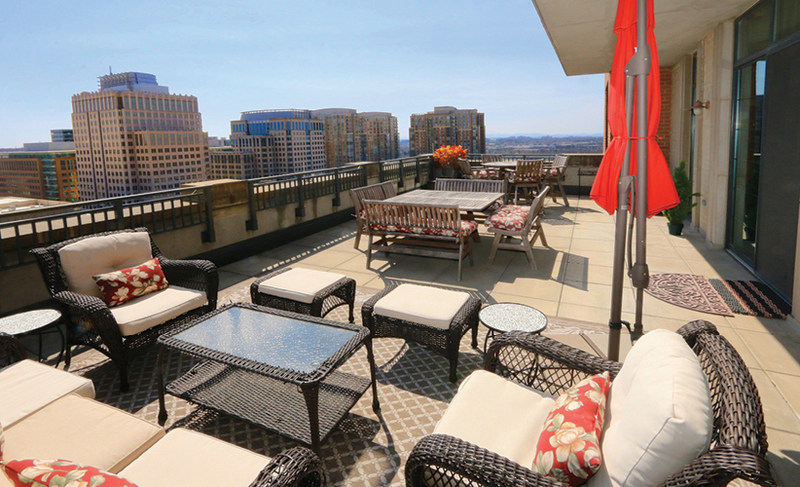 Their 600-sq.-ft. patio overlooks the Blue Ridge mountains to the West and the Reston Town Center to the South, and is the ideal place to view fireworks. Filled with interesting artifacts from their international travels and renovated throughout, this spectacular condo is like no other. The kitchen underwent a major renovation and contains a backsplash containing 50-million-year-old fish fossils from a prehistoric lake bed in Wyoming. A Xian warrior stands guard in the dining room. 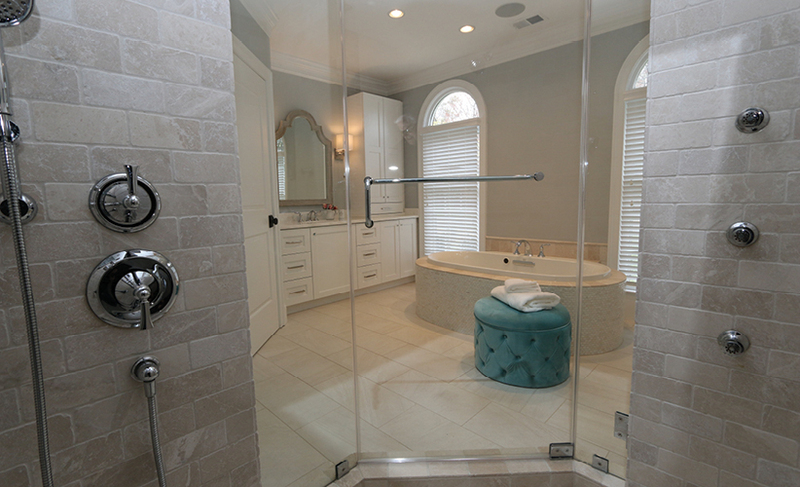 The master bathroom renovation was just completed last year! Patty and Chuck moved from Ashburn nearly a decade ago to Bright Pond Lane. The home served the family of four well, but now, as empty-nesters, the couple has reimagined the space with stunning results. They have worked with two designers to renovate and decorate. Moroccan influences, stunning light fixtures, and Chuck’s sister’s artwork, are just a few mentions to inspire. 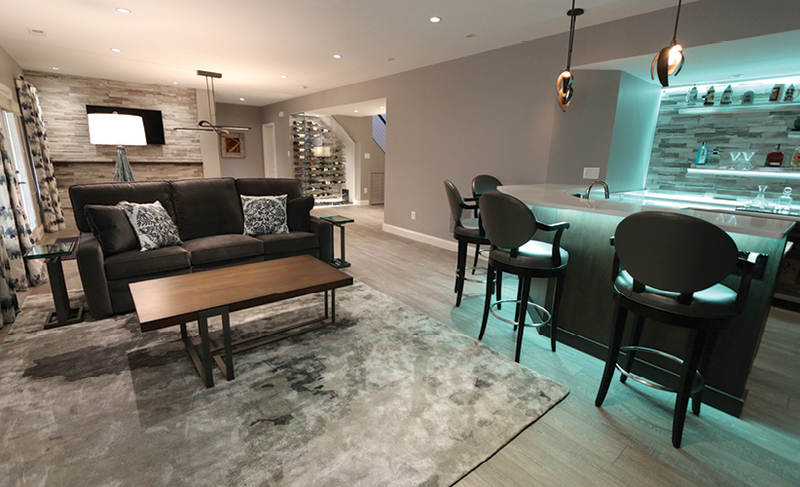 You won’t want to miss the one-of-a-kind, custom-made, temperature-controlled glass wine display carved out under the stairs and the custom bar with LED-remote-controlled lighting options to suit any mood. When Tara, Steve, and their two young children relocated from California to Reston in 2006 they rented at first to get to know the area. They soon discovered they loved Reston and wanted to stay. A couple more children, and with number five on the way, it was time to buy! 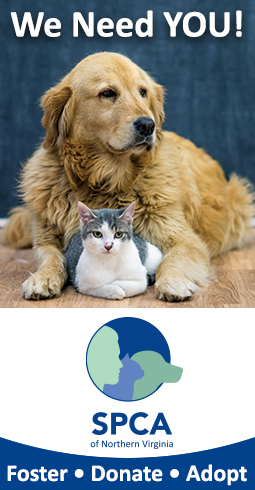 They purchased Round Pebble realizing quickly that some things needed to be changed for their family of seven! They moved into a short-term rental down the street and watched as their vision and their architect’s plans came to fruition. Nine months later they returned to a gorgeous and functional home that exceeded their expectations—the focal point being the kitchen with a wall of windows overlooking their pool and a large island with ample seating for friends and family to gather. Reston Town Center’s new Signature Apartments will be on tour this year. Designed to LEED Silver standards for green building, the property’s cluster with two high-rise and two low-rise buildings—each unique­­—integrates extensive amenities amid varied residences and inspired outdoor spaces. 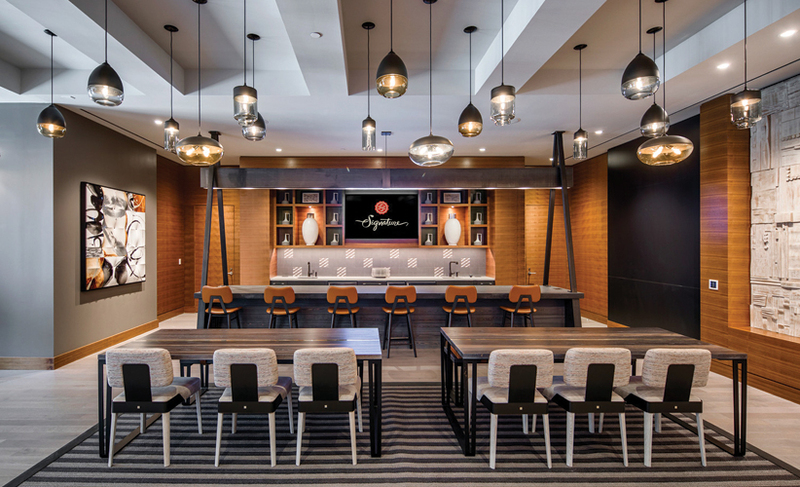 Tour the models, see the luxurious common areas with a SkyTop fitness center on the penthouse level, fire pits and shuffleboard on the 7th floor abutting the pool and the expansive entertaining spaces on the main level. And enjoy a Taste of Autumn catered by Balducci’s, the new gourmet store at RTC.